5 :: Gerrards Cross Golf Club is considered one of the most attractive courses in South Buckinghamshire. Kindly sponsored by Harefield Windows. 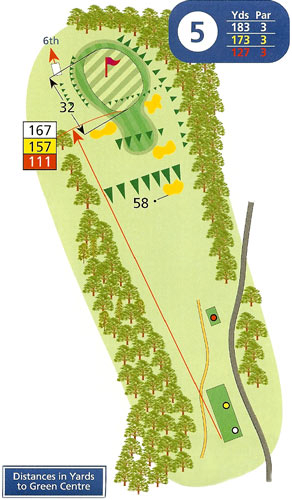 A testing uphill hole well bunkered and lined on both sides by dense woodland. The combination of the slope and rough offers very little run and only the finest of tee shots will make the green. Members are pleased to walk away with a par.